Happy 2019! One of my goals for 2019 is to do a complete revamp of the design of this website. This might be a bit ambitious in the midst of graduate school and other personal goals, but I’m going to try! Once this is done, I’d really love to get back into posting more recipes as well as more science content. Wish me luck! To start off the year, I got to celebrate the birthdays of my two adorable nephews Mokshay and Jeeva. Mokshay turned 7 and Jeeva turned 5 in January and they both wanted to celebrate with a Pokemon themed party. 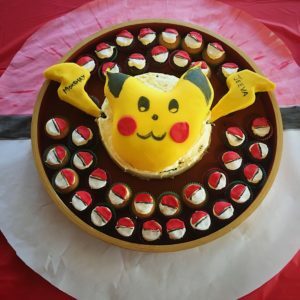 Of course, I had to come up with a creative way to make a Pokemon cake. The cake is a double layer cake with a chocolate fudge bottom frosted in vanilla buttercream and a vanilla top layer (Mokshay’s favorite!) covered in buttercream and yellow fondant. 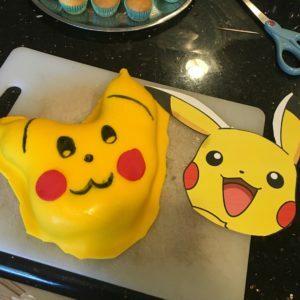 I cut out the pikachu shape and then used red fondant and edible marker to draw on the face. The two lightning bolts were Kellogg rice krispies treats that I shaped and covered in fondant. I added in a cake stick so that the lightning bolts could be inserted into the main cake. 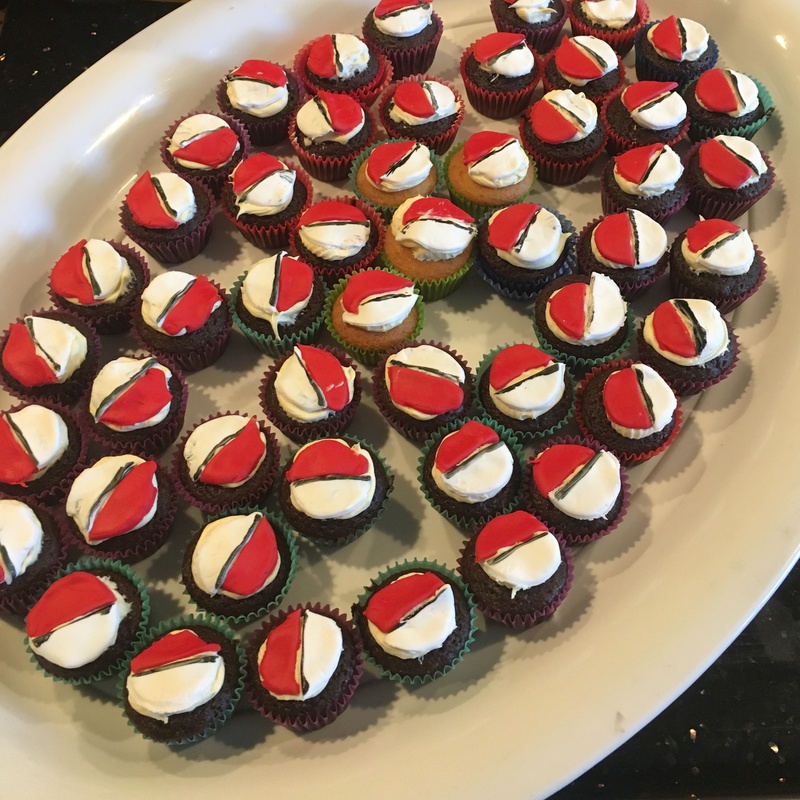 For the Pokeball cupcakes, I baked 100 mini-cupcakes in both chocolate and vanilla and frosted them with a bit of buttercream. I then cut out fondant half circles to create the signature Pokeball look and used edible marker for the black line in the middle. 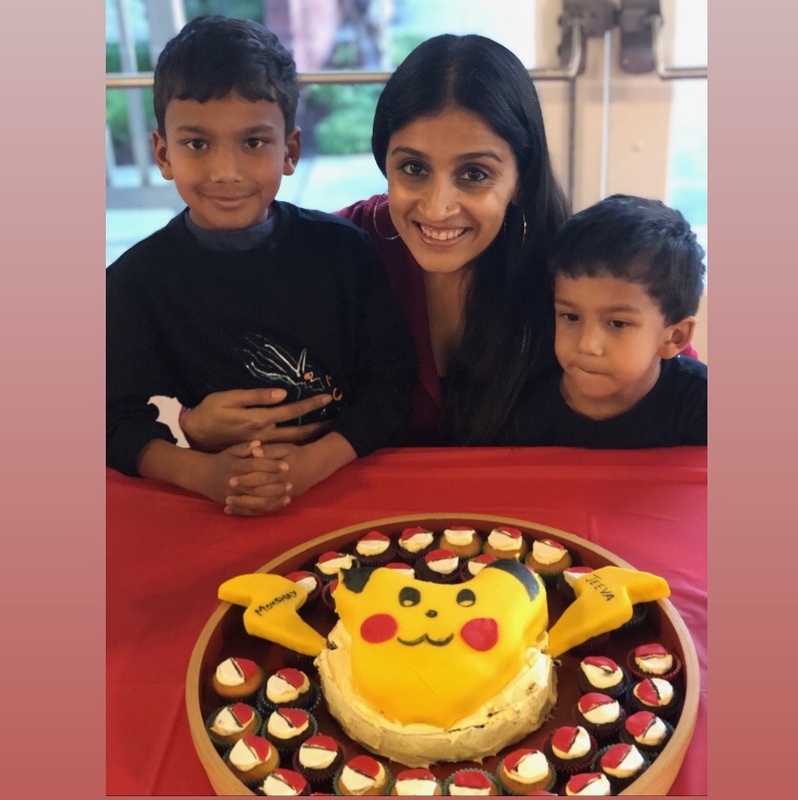 The boys were so happy with their Pokemon cake and their individual lightning bolts! 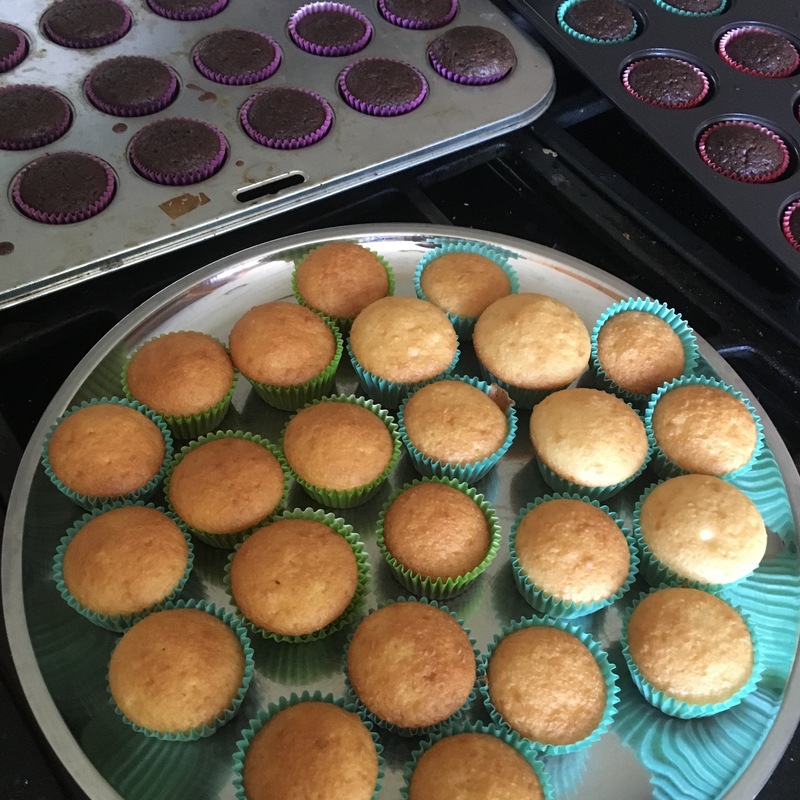 Those of you aunts and uncles out there know that there is nothing better than making a treat for your favorite little ones. Love them so much!